Oh, you should obviously go. Eurovision baby! You must go!! You will absolutely kill yourself if you don’t!! This is a fantastic weblog. I feel honoured to receive a couple of mentions in it. By the way, get yourself over to eurovision, it’ll be a laugh. 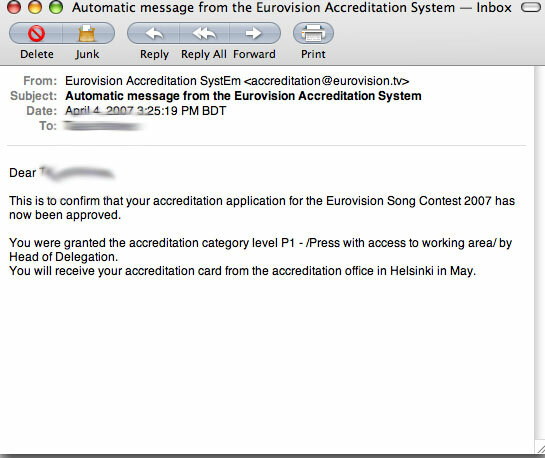 Funnily enough, I’ll be at the Eurovision too! Although I’m officially working, I’m sure we could meet up and swap gossip. Drop me a line!